Finding the time of day when you have your best energy is an important part of writing while still working full-time. Using your most productive and creative self for the work most important to you means that you can make the most out of what time you do have. I’m a morning person, so I make sure that the first thing I do when I wake up is get some writing under my belt. Other people work well late at night. 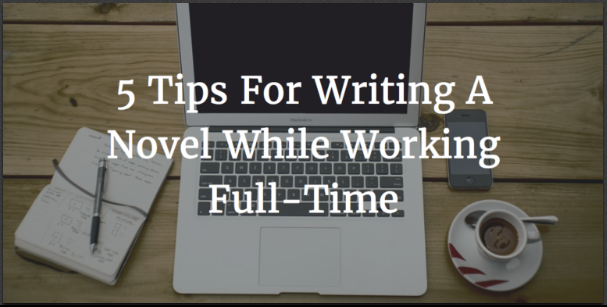 Whatever time works best for you, turn that into writing time! Just a few weeks ago, electric car manufacturer Tesla Motors handed over the first of its $35,000, 350-km range vehicles to eager customers. According to media reports, the company has a backlog of half a million orders. This exciting news is coming out of California. It could have been coming out of Israel if a company called Better Place had fulfilled its dreams of changing the world. In hindsight, every decision Better Place, its management, and its narcissistic founder made was wrong. In short, Better Place crashed. 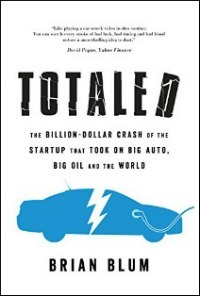 Totaled: The Billion-Dollar Crash of the Startup that Took on Big Auto, Big Oil and the World by Brian Blum (Blue Pepper Press, August 2017), details the rollercoaster ride of what was possibly the most innovative concept to ever emerge from the Israeli ‘startup nation’.